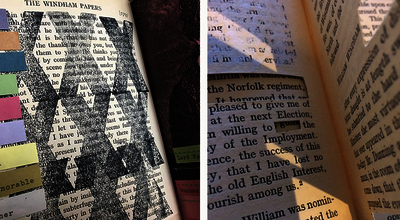 A community-based altered book project initiated by Sparksartists and Christchurch College Library Oxford. Working with artist Tamar MacLellan and drawing upon elements of established collaborative working practices, this project set out to explore whether or not working independently, to set of collaboratively devised rules and instructions, would affect or compromise creativity. The book content was used as the basis for exploration and the response to each instruction was an independent interpretation of research, choice of media, technique and process, enabling each instruction to enforce change upon the book in terms of form, function, appearance and identity. 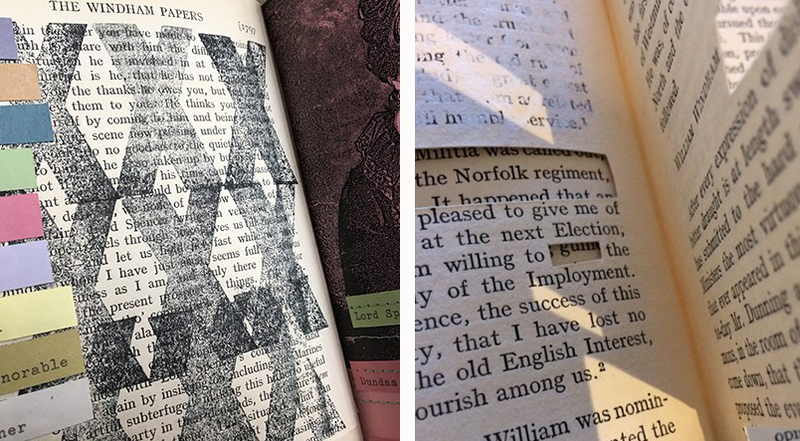 This pair of artefacts was produced in response to an invitation to produce an altered book (taken from Christchurch Library, Oxford), for an exhibition entitled Ex Libris: Altered Books, at the Buckinghamshire County Museum from 9 December 2017 - 24 February 2018.